Your threat assessment and risk mitigation will give you a good idea of the likely risks posed by anyone entering your premises, and the possibility of postal and courier services delivering hazardous items. You will also get a good understanding of the precautions and mitigation measures you need to take. A security policy that requires staff to wear identity/security passes at all times should form part of your mitigation measures for those entering your premises. Security staff should be encouraged to challenge those who not wearing a pass. 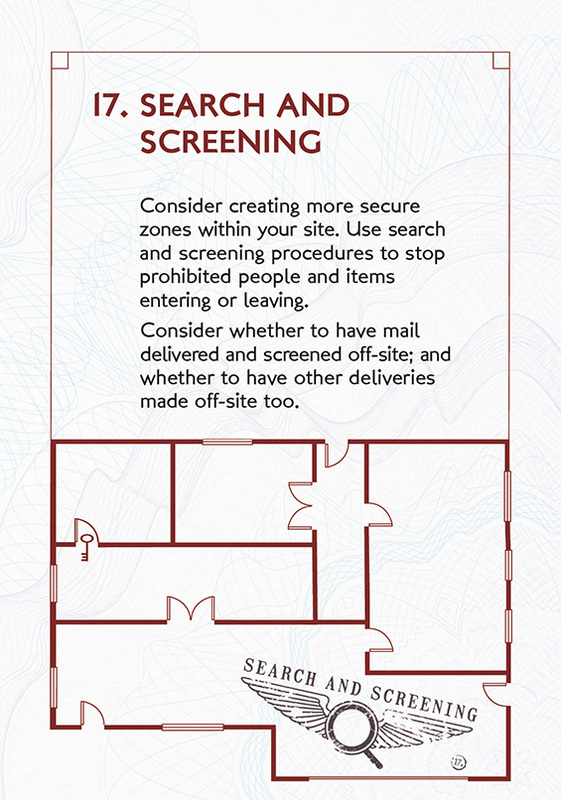 Are mail, deliveries and visitors searched/screened in line with your identified threats? What is the access control policy for staff and contractors? Is your policy on staff wearing identity visible and widely communicated? Are staff encouraged to challenge those not wearing the correct identity?